Home / News / Is Now The Right Time To Invest In Gold? Senior bullion dealer, Oliver Temple, shares his expert knowledge with prospective new investor pensioner Mr Martin from West Byfleet, Surrey. 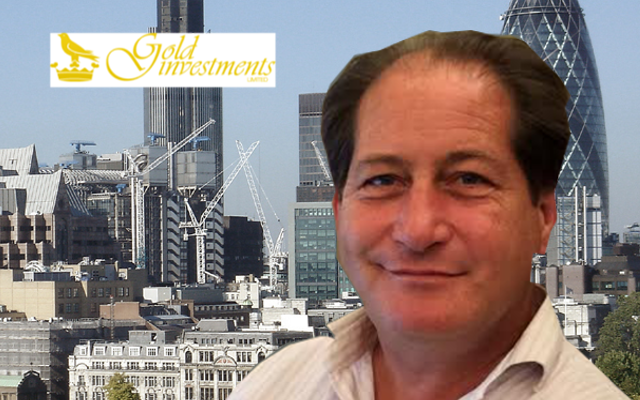 Mr Martin asks: "Is now the best time to invest in gold?" I have been following gold prices closely and see that recently they have been rising. I would like to invest in gold but really do not know where to start. A little bit of background about me. I am 70 years old and married. My wife and I own two properties, one in Surrey (our main residence) and a holiday home near Dorset, which we have a mortgage on. I do have a number of small pensions which I have built up from working in the financial sector. Although I am officially retired, I do work part-time which mainly pays for trips to visit my grandchildren. They live in the Middle East. I have dabbled in the past with stocks and shares. I have tended to look for companies that are performing badly. This has had a mixed response over the years. It is the first time that I am considering gold. Is now the time to buy gold? Could you explain why gold prices are increasing? Many thanks for getting in touch with Gold Investments. You are right, gold prices have naturally been nudging up recently possibly in response to investor nervousness over the world economy. This may have been driven by a number of different factors such as low oil prices caused by over production. There has historically been a fairly tight correlation between crude oil prices and gold. Other factors possibly affecting gold is the rapidly slowing down of growth in China. The US interest rate rise of a 0.25% rise in December may have also had an effect. Some bullion dealers may advise prospective investors to put all their money into gold. We definitely would not. We believe in a more honest approach. Gold can go up as well as down. In times of economic uncertainty, demand does increase as investors turn to the precious metal because it is seen as a safe haven. How much you invest depends on your own circumstances and what you are comfortable with. Again, when to buy is up to you. We are always happy to share our experience of gold investing. Gold Investments is one of the oldest bullion dealers in the UK and has been trading since 1981. We would advise that gold should be viewed more like as an insurance policy for the medium to long-term. It probably should be no more than 10% of any investment portfolio. You can see more about SIPPs here. There is a common misconception that to invest in gold you need to have a large budget. In fact, we offer gold for all sizes of budget. Our customers are able to track prices on individual products easily here. For instance, Krugerrands are one of our most popular gold coins. For some customers, these are seen as gifts rather than as just an investment. It is worth pointing out that at any time our customers are also able to sell gold back to us. Gold bullion may be free of capital gains tax if your overall gains above your tax-free allowance (called the Annual Exempt Amount) is £11,100 (6 April 2015 to 5 April 2016). It is worth checking the HMRC website. Britannia gold coins and Sovereigns are exempt from capital gains tax. It is also VAT-free. We always hold a wide range of coins and bars in our bank vaults for immediate delivery and all coins and bars quoted are in stock. All our gold is 99.99 (% purity) and are “Good Delivery” gold bars. We do offer secure storage at The London Silver Vaults, Chancery Lane, London. Mr Martin, please do feel free to pop into our London offices or call 020 7283 7752 if you would like to discuss further. We are always happy to share our knowledge including for new investors who are wondering whether now is the right to invest in gold. On LinkedIn? Why not connect to Oliver? Question for illustration purposes only.